Wow... that costume is so win. Genius! I love it! 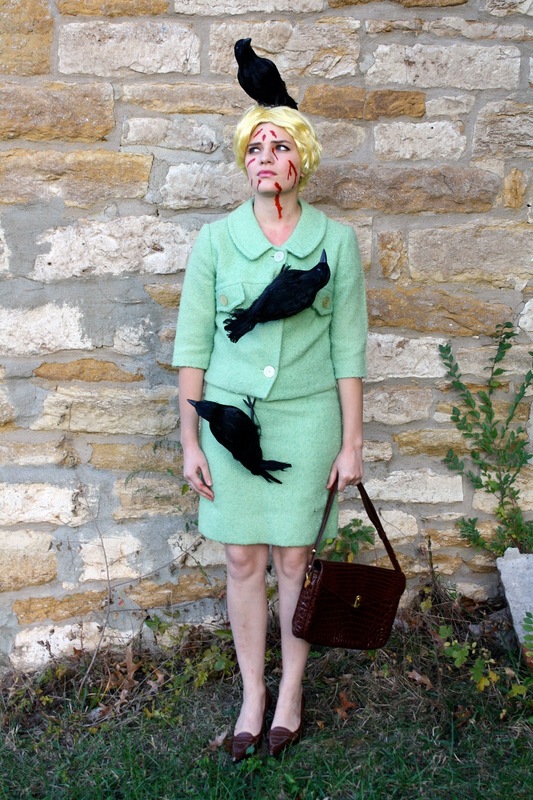 I was Tippi a few years back and my husband was Alfred Hitchcock. I loved that costume. You did a great job, especially with the outfit! Haha I love your outfit! Did you see this take on the outfit? http://sallyjanevintage.blogspot.com/ I think you both did a great job! Ps - I think the guy looks a lot like that kid from the vampire movie...Robert Patinson I think his name is? Definitely one of the best costumes I've seen. So smart! GREAT "Birds"! One of the best costumes I have seen so far this year! That is the most funny/inspired/well executed costume I have seen this year yet! Wow! Wherever did you find those birds? Thanks! I got the birds at a craft store. I think they're meant to be used as Halloween decorations. I hadn't seen that; thanks for the link. She looks great! Your costume is definitely the most creative I've seen . . . and I'm still scarred from that movie. Awesome! omigosh, what a great costume! Best. Costume. Ever. 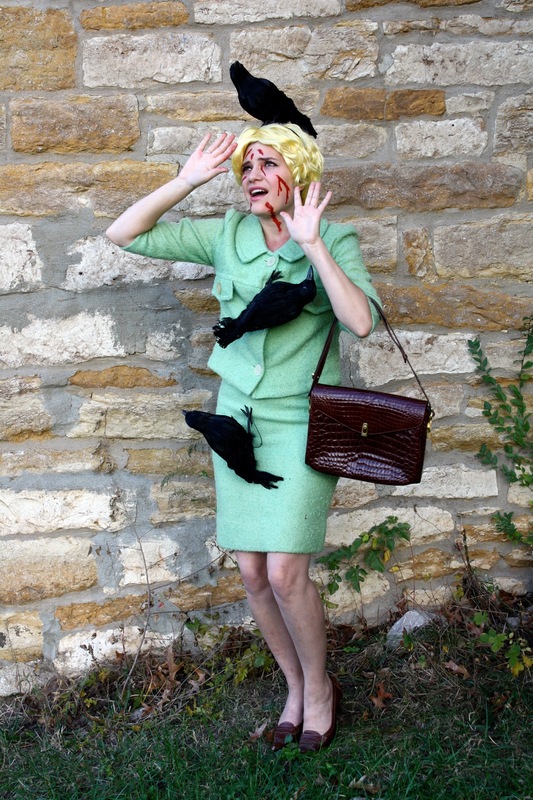 I love Tippi Hedren! I think that may be the best Halloween outfit I have ever seen. So creative and a perfect match for the film. ah perfect! I did a "Birds" inspired window display at the store I work for, your suit is spot on! Hitchcock would be so proud. 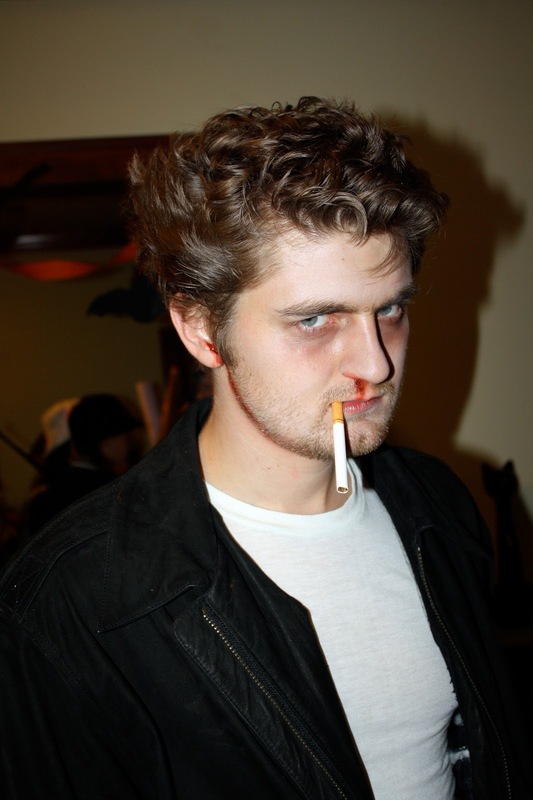 Excellent costume! What an original idea - I never would have been creative enough to think of something like that :) Looks awesome! You costume just made my week! So genius! Definitely the best costume I've seen this year. Great job and so creative! i love your look totally!!!!!!!! I love this. 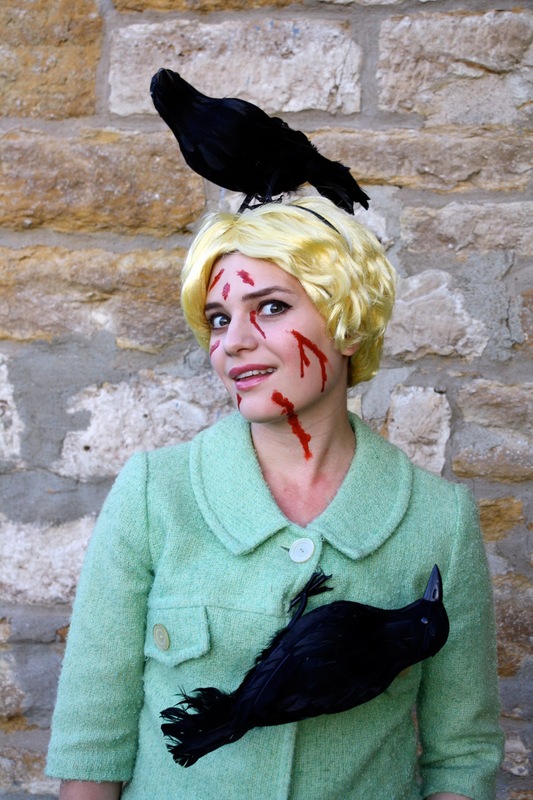 I was Tippi a few years ago, it was awesome. Some people who were OLDER than me had no clue what I was though. I thought everyone knew that movie! 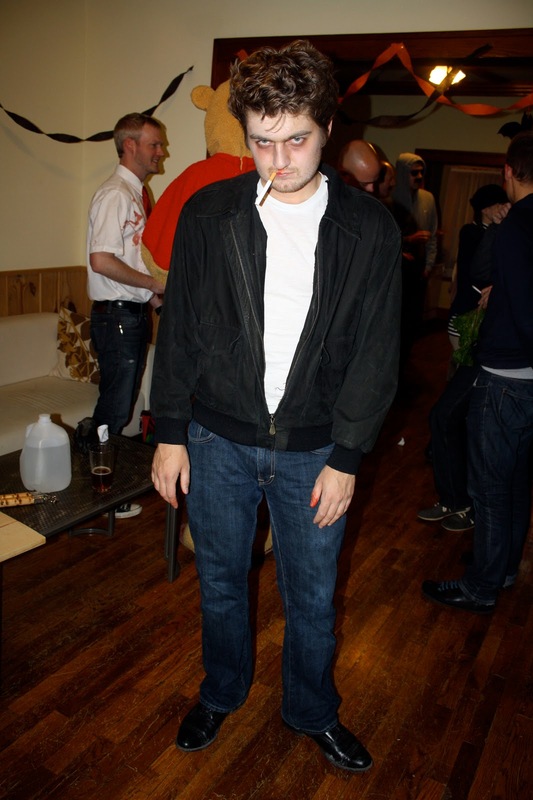 Ok, one of the best, yet fairly simple, costumes I've seen. And what a great use for one of many my many 60's suits! Fantastic costume! I am terrified of crows (and seagulls!) so this is a truly horrifying outfit to me! omg, what a great costume!